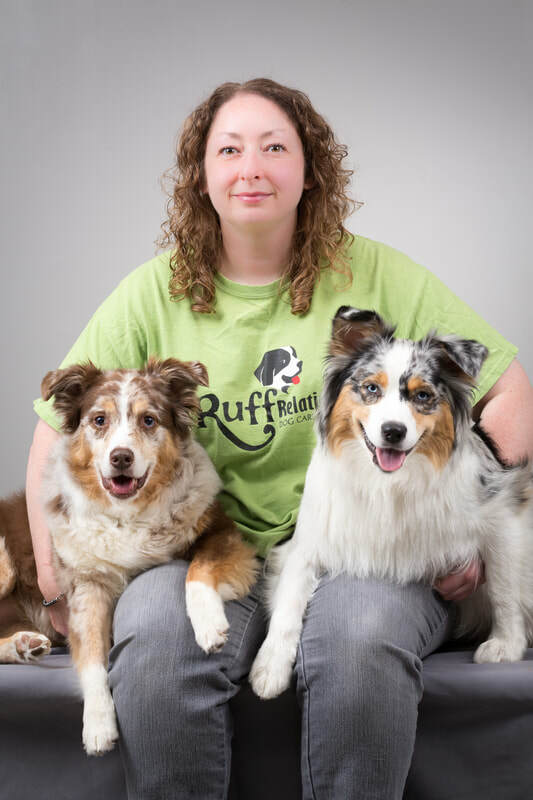 As the founder and co-owner/operator of Ruff Relations, Vanessa Lee has over 12 years of dog training experience. She is a certified dog trainer, a CGC evaluator, a full member of the Association of Professional Dog Trainers (APDT), a certified pet care technician, and is trained in pet first aid & CPR. She gained most of her experience assisting classes with area dog trainers for nearly 3 years and later teaching group classes at several local pet care facilities. Her mentors include Marcia Ritchie of the Family Companion, Kim Sauer of Sit N' Stay Pet Services, and Jeannine Jay of the Canine Sports Complex. Vanessa has taken courses through the Companion Animal Sciences Institute and continues to expand her knowledge of dog care & training by networking with other pet professionals and through seminars, books, and continuing education courses. She is involved in a wide variety of dog training with her own dogs and is currently training and competing in agility, rally, and obedience with her Australian Shepherds - Sookie, Zazu, Zen & Mimic. In addition to running daycare and teaching dog training classes, Vanessa is also a professional pet photographer and has attended grooming school as well. Danielle joined the team as co-owner/operator in June 2012. She obtained most of her dog handling experience assisting off-leash playgroups and helping with obedience classes and private lessons. It was not long before she realized that a career with dogs was in her future. She has a variety of her own dogs - Lizzie & Al (yellow labs), Maurice (a chihuahua/pug), City (an australian shepherd), and Myrtle (basset hound). Danielle is certified in Pet CPR & First Aid through PetTech® and is a professional pet photographer, responsible for creating many of the amazing photos displayed on our facebook page and at Ruff Relations. She is has also recently attended grooming school.